Darien Chiba is what you would call a simi-genius. He excells at anything he puts his mind to. But with this intelligence comes the mysterious air that follows. He's unknown to many and dubbed as too cool and up-tight to be around. He knows that and in a way flunts it, especially to Serena at the beginning of the Manga. When Darien first enters the picture he immediately insults our beloved heroine. He doesn't care to look further into her life because he's on a mission, to find the Silver Imperium Crystal. But once Serena's love and their past together sink in to him, he is more kind and generous than ever. In a way, Darien is afraid to love. The only people that he loved died and he hasn't cared about anyone since. Serena is the only one that can break down that rough barrier and exspose the Darien that we all know and love. Darien lived in a flat in the CrossRoads Plaza alone. He tends to like being alone. He left the orphanage as soon as he could manage live on his own. Because he has had to work all of his life, his character has had exstencive building. He likes studying and going to school, he is even accepted to Harvard here in America at the beginning of the StarS series. All is ruined when Galaxia takes his Sailor Crystal, but at the end of the StarS series, Serena resurects all of the Senshi and Darien. As Tuxedo Mask, Darien's mission is to find the Silver Imperium Crystal. When he was small his parents died and he lost his memory. Since then he's been called by a woman begging him for the crystal and promising to restore his memories. This mission allows him to collide with Sailor Moon and her hunt for the Crystal too. Several problems arise about trust between them. When Darien and Serena discover who one another is, the trust and the love begins. 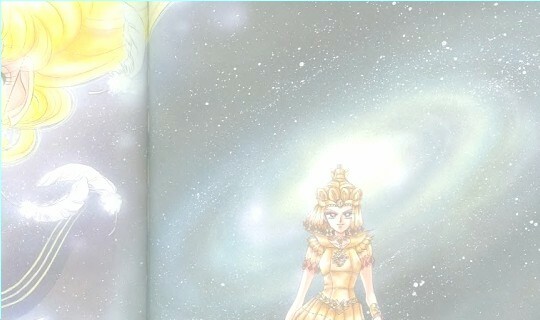 The Crystal is finally found when Sailor Moon's grief is so great that it forms from her own tears over Darien's wounds. Tuxedo Mask is kidnapped and brain washed. When Sailor Moon attacks him with her true powers his memories are returned and from then on his mission is to protect Sailor Moon. The Prince of Earth in the Silver Millennium did the “impossible” and the forbidden, he fell in love with the Princess of the Moon, Serenity. Back then, a marriage between the Earth and the Moon was forbidden but they managed to at least fall in love. He even forbade Serenity once to see him, but she refused. Then the Negaverse attacked. The Dark Kingdom killed Prince Endymion and in grief, Princess Serenity drove the Holy Blade of the Silver Imperium Crystal into herself. The four princesses of the Inner Planets couldn't stop her. The other four princesses took their turns slaying themselves. Queen Serenity decided to send all the people of the Silver Millennium, including the Dark Kingdom, to a brighter future on Earth.